A farmer working on his cocoa farm. What if it ceased to exist? This was the question in 1998 when stakeholders in the cocoa industry met to discuss the future of cocoa – the main ingredient in chocolate.1 Attendees realized the risks facing the cocoa sector were broad and included not just environmental, but social and economic challenges as well.1 Cacao would need to become sustainable across the entire supply chain or face inevitable shortages. 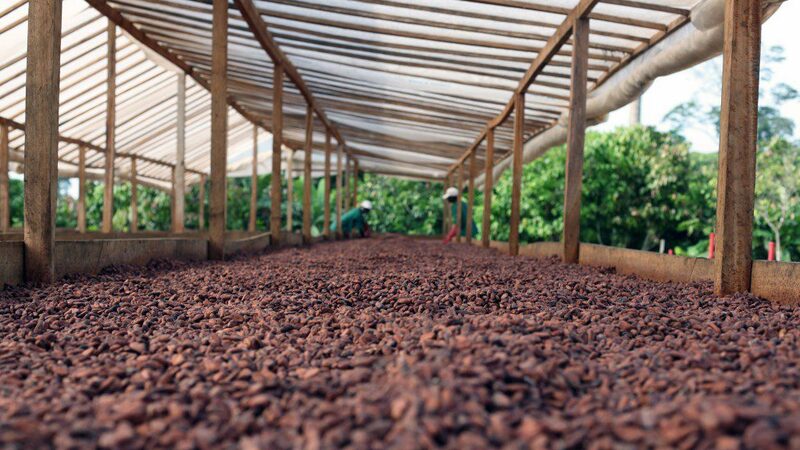 How does sustainability assure the survival of chocolate? Programs start with three basic pillars of sustainable development: people, environment, and profit. For chocolate, this starts at the cacao farm. If cacao farmers cannot earn a living wage growing and selling cocoa, they will transition to crops that will earn a profit. It takes about two years for a cacao tree to produce fruit. As a first step in a sustainable system we have to start at the level of our growers. 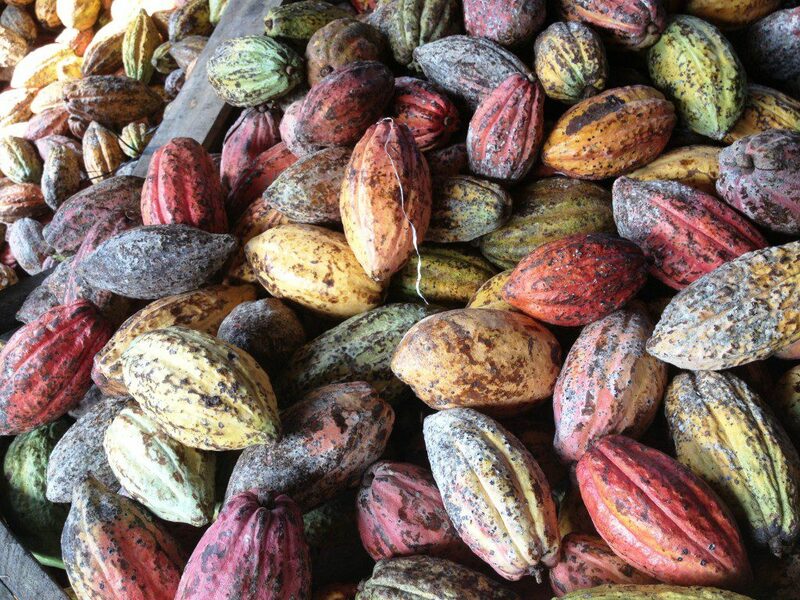 Programs train cacao farmers in organic growing practices, provide skill sharing to increase crop yields, and invest in new agricultural technologies. 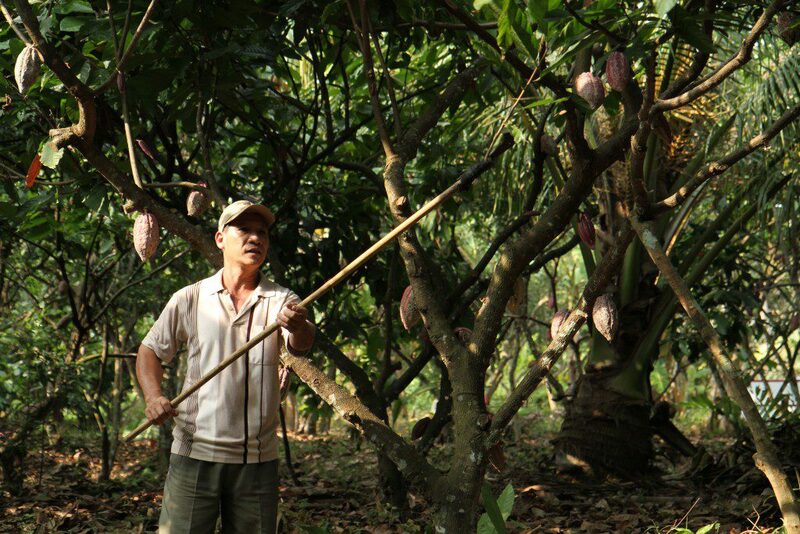 There are opportunities for cacao farmers to receive education in best farming practices. These practices ensure future crops for the farmer and their children. Sustainably certified cocoa also ensures that children are not used for labor. The skills gained enable the farms to have larger crop yields, producing a better income. With a better income farmers reinvest in the cacao and the communities they live in. Sustainable chocolate programs strive to increase the quality of life for farmers, protect the environment, and create positive social changes in the communities where cacao is grown. 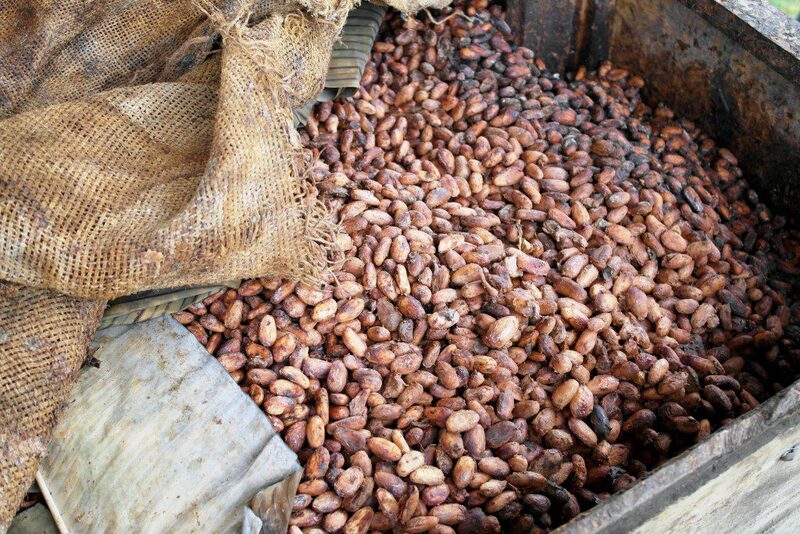 Ingredient suppliers in the food industry are going beyond fair trade to ensure the raw ingredients they buy and sell benefit those who grow, harvest and process the materials as well as protecting the environment to ensure continued production of labor intensive crops such as chocolate. Do your baked goods contain sustainable cocoa products? The fermentation of cocoa beans. You have a lot of choices when it comes to sourcing ingredients. While your purchasing department may base decisions on cost, today’s conscience consumer will appreciate transparency in your label and traceability of key ingredients. Chocolate products that are sustainable show consumers a company that is willing to be an environmental steward. If you are considering adding sustainable chocolate products to your cakes, cookies, pies, frostings or desserts know that the ingredient functions the same way as conventional chocolate. Ingredient suppliers can let you know what items are currently available as sustainably certified such as cocoa powder, baking chips, or chocolate liquor. In most cases you will be able to add the story to your packaging. If you are already pursuing organic certification, the process to add sustainable ingredients would show investment in social and economic standards. What story do your ingredients tell your customers? The ingredients you choose do more than prolong the shelf life of your product or add a special flavor your competitors would love to replicate; your ingredient choices tell your story. Cocoa pods on their way to be made into chocolate. Long, John C. “From Cocoa to CSR: Finding sustainability in a cup of hot chocolate.” Thunderbird International Business Review 50.5 (2008): 315-320. “Cacao-Trace – Growing Next Generation Cocoa for Chocolate Lovers.” Cacao-Trace. Puratos. www.cacaotrace.com/. Accessed 01 Feb. 2017. Schenker, Sarah. “The nutritional and physiological properties of chocolate.” Nutrition Bulletin 25.4 (2000). Blondeel, Jessica. “Re: Sustainable Cocoa” Received by Katie Jones, 10 Jan. 2017. Jessica Blondeel is Product Manager Chocolate at Puratos, a Belgian manufacturer of innovative bakery, patisserie and chocolate ingredients. 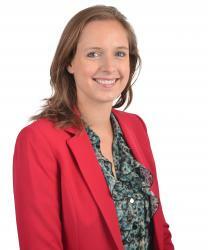 Jessica started her career in 2010 as a Category Manager for Hewlett-Packard, before moving to Puratos in 2014. She has a Bachelor’s and Master’s in business engineering from the University of Leuven (Belgium) and is a laureate of the Price Albert Fund. As a business engineer, Jessica loves combining the science behind her products with a good dose of strategic thinking.